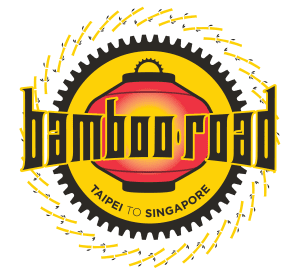 One of the smallest, yet most intriguing, changes to the Bamboo Road Cycling Expedition in 2019 is the route change from Siam Reap to Bangkok. 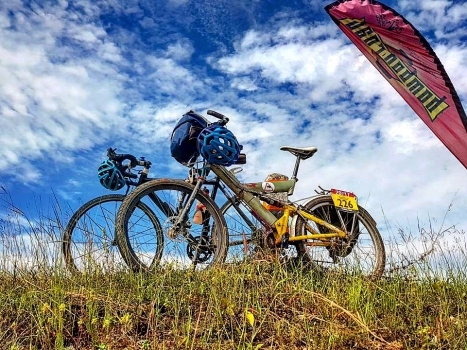 Fresh from a couple days exploring the incredible temple complex at Angkor Wat, the cyclists now head south, skirting the vast expanse of the Tonle Sap and crossing some of Cambodia’s most productive rice fields before arriving in laid-back Battambang. The town has an interesting history. Legend has it that it is the ‘City of the Lost Stick’. The story goes that eleven hundred years ago a farmhand, while caring for his cows, found a magic staff. He used its powers to depose the current King and then ruled over the area for many years as King Dambong. Eventually, the deposed King’s son returned to confront Dambong who fled the city with his magic stick which had been neutralized by some mystical intervention. Both he and the stick were never seen again although the staff is said to be hidden somewhere on the banks of a nearby river. Many locals honour his memory and have nicknamed him Ta Dambong (Grandpa Stick). 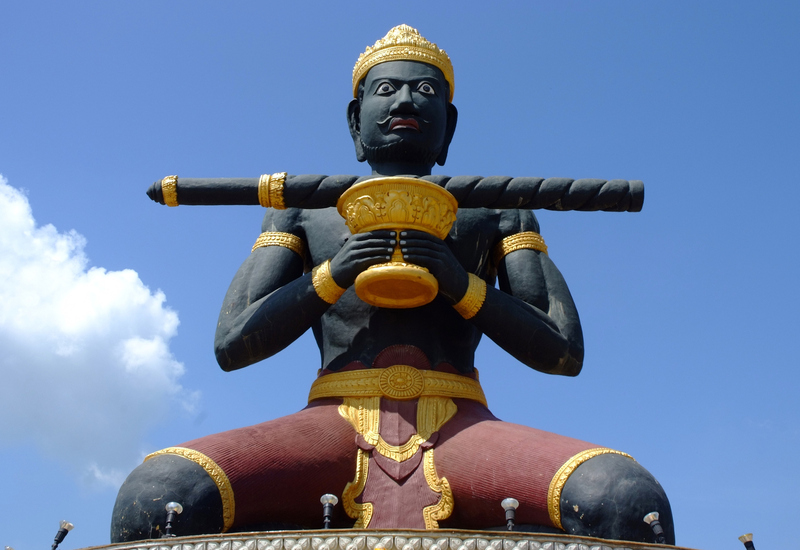 Villagers often place incense at the foot of a large statue of him which greets travellers as they arrive in Battambang on the Phnom Penh road. 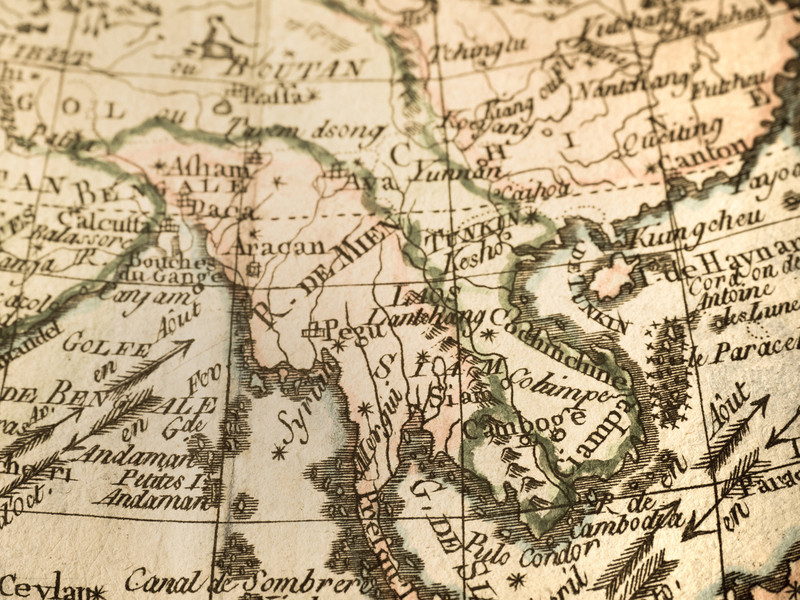 In the late 18th century, Siam (now Thailand) swallowed up much of north-western Cambodia, including Battambang, at the time an important trading hub. 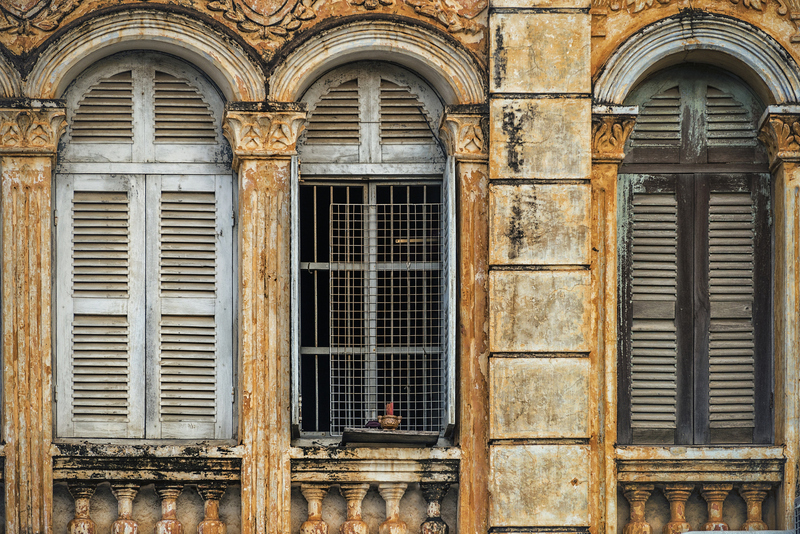 It wasn’t until 1907 that it was returned to Cambodia, although this took place under French colonial rule as part of their grand plans for Indochinese colonies. During the reign of the Khmer Rouge, the local population suffered horribly as evidenced by the Killing Caves of Phnom Sampeau, about 11km southwest of the town or the gruesome memorial to the genocide’s victims, the Well of Shadows, on the banks of the Sangkar River, 6kms north of Battambang. 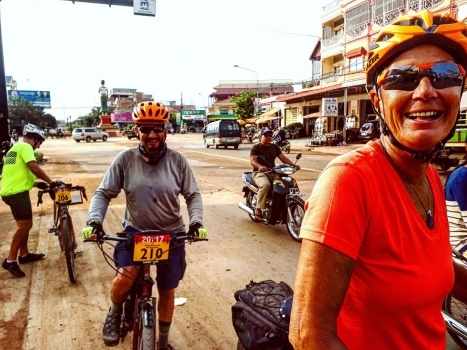 Today Battambang, with its atmospheric French colonial architecture, is, according to Lonely Planet, “the perfect blend of relatively urban modernity and small town friendliness.” While the cyclists on the Bamboo Road will only have an afternoon to explore the area, there are a couple things not to be missed. 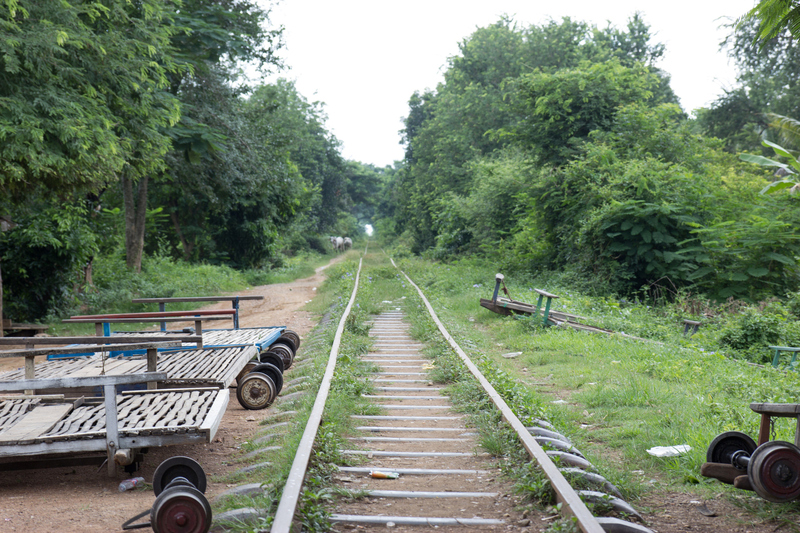 Although the renewal of the Cambodian Railway system has meant that this experience is not as ‘authentic’ as it used to be, it is still worth trying. 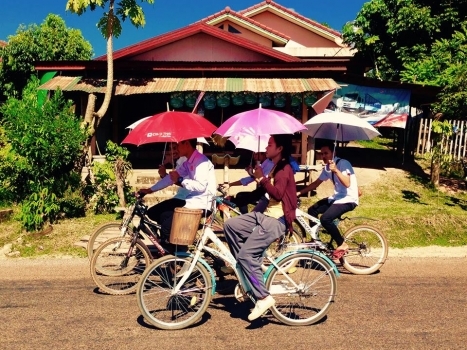 In the past, local transport, especially in small, rural villages was virtually non-existent. Locals decided to use the many abandoned rail lines instead. They built bamboo rail cars, or ‘norries’. Simple but brilliant engineering. “The body of a norry consists of a single queen-size platform, often made of bamboo, which lies on a metal undercarriage. Steel wheels on a pair of axles lie underneath. A belt wraps around the rear axle and is connected to a lawn mower or boat engine mounted on the rear of the platform. The driver yanks a cord to start it up, the engine emits its mosquito-on-steroids whine, and down the tracks it goes.” (Atlas Obscura) Looks like fun. About a 30 minute tuk-tuk ride south of Battambang and close to the Killing Caves of Phnom Sampeau is the Battambang Bat Cave. 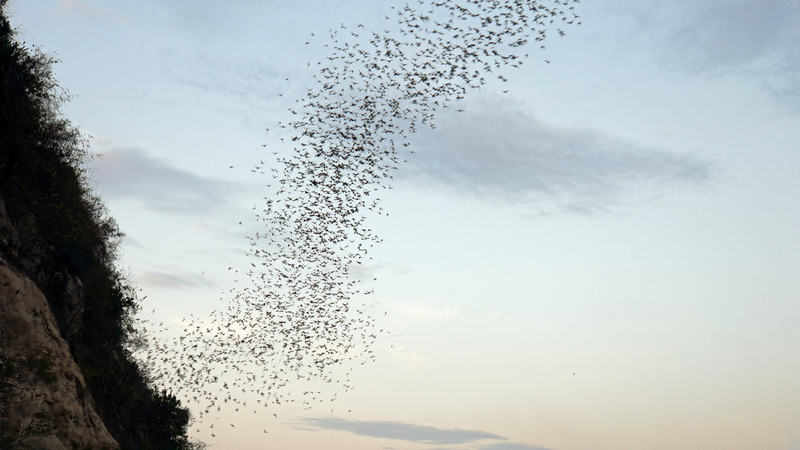 Each night, literally millions of bats emerge in an incredible spectacle lasting about 20 minutes. 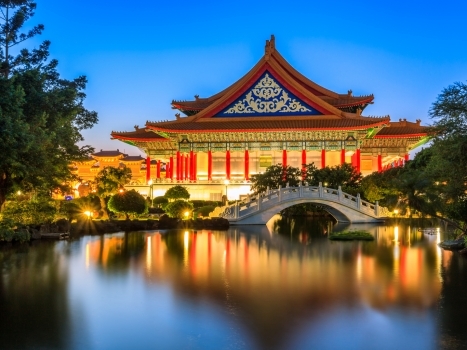 You can sit by the side of the road and enjoy a cold beer and some street food while you watch the bats streak across the sky while the sun sets behind them. Or, if you are feeling a little more adventurous, you can hike up to the mouth of the cave and get up close and personal as the bats swarm out into the darkening sky. Either way, it is a sight you will not soon forget.